Are you an Indonesian? And do you want to become a k-pop idol? Well, here's a good news for you. SM Entertainment, the biggest and the most influential k-pop company is now looking for talented Indonesian trainees. On September 4, Lee Soo Man, the chief producer of SM attended the Indonesia-Korea Cultural Content Forum and delivered the keynote address. Through his speech, he said "Together with Indonesia, we will find out Indonesian stars and make them global stars". 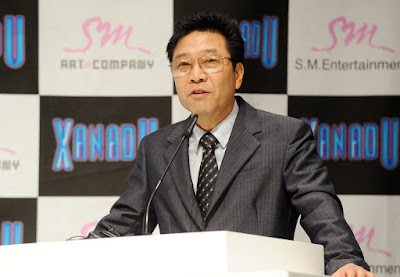 You know, it's not the first time that Lee Soo Man has revealed his plan to cast talented Indonesian trainees. He attended the Indonesia-Korea Business Summit last March and said he's planning to launch SM's first ever audition in Indonesia. Then, what do you think is the reason why SM is looking for Indonesian trainees? Basically, k-pop agencies look for foreign trainees because they need to extend their business abroad. South Korea has a population of about 50 million, and the country has a small music market. So, to make a lot of money, k-pop agencies entered Chinese and Japanese market. You know, China’s population has reached about 1.4 billion, and Japan has a population of about 120 million. And to make a success in the countries, k-pop agencies needed Chinese and Japanese idols. By the way, things have changed a little bit. There has been a “Anti-Korean Wave” in China and Japan in recent years due to a diplomatic conflict between the two countries and Korea. It could be a huge risk to k-pop agencies, and yeah, they began to look to other countries. For example, Indonesia has a population of about 250 million and Vietnam has a population of about 90 million, which are bigger than Korea’s population. Such countries could be very attractive to k-pop agencies because they’re bigger markets than Korea. So, if you are an Indonesian and you want to become a k-pop idol, yeah, just go for it! SM's audition is open to everyone.